Follow the website link or call the number shown to get check the movie times for multiple screens. Plenty of adjacent parking. 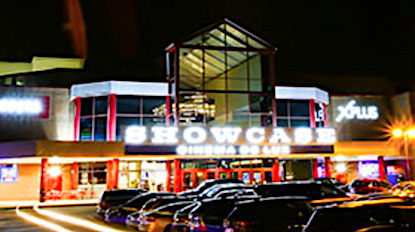 A multi-screen development with ample parking and plenty of snack and drink options available inside. On the A329 as you head from Reading towards Winnersh and Wokingham. The Regal is a luxury three-screen cinema with Dolby Stereo and DTS digital sound in all screens. It opened in February 1997 on the site of the original Henley cinema after a long fight by residents to keep a cinema facility in the town - a fight which featured amongst its leading lights, ex-Beatle and Henley resident, the late George Harrison. The Regal prides itself on its friendly and efficient atmosphere and staff who offer a personalised service to patrons. There is a congenial bar area, and you can take a drink in with you during the movie. The cinema entrance is off the Waitrose car park off Kings Road, situated directly behind the cinema - but the permitted parking period there is not long enough to cover a three-hour film. Longer stay car parks are nearby.